With the UK general election just a week away, new research indicates that political party membership numbers hit an all-time low this year. 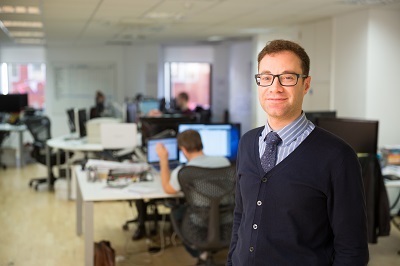 Benno Wasserstein, managing director of Box UK, explores the challenges faced by membership organisations in today’s digital world and why these must be faced head-on to ensure organisations are not on the receiving end of a mass exodus. Many UK membership organisations have seen vast technology changes over the years. Not only must they keep members engaged through online platforms, but the rise of mobile technology has also transformed the way we access and digest information. Some of the most well-established membership organisations are falling behind, with political party membership numbers hitting an all-time low this year. The success of membership organisations relies on community engagement. To keep pace with the ever-changing customer and technology landscape, they’ve introduced digital into the very heart of their operations. In some cases, the digital journey has led to content being placed in disparate, inaccessible places which does not benefit current and prospective members. Without their members, membership organisations would not exist. Therefore, they must understand the market they are operating in, keep on top of key industry trends, and respond to the changing behaviours and expectations of their target audiences. One area of focus for digital strategy development is Customer Experience (CX), and the translation of this into competitive advantage. Adobe’s trends report highlighted that 44 per cent of companies see customer service/experience as the primary way to differentiate themselves from the competition. However, prior to developing any sort of strategy, it is vital to have an understanding of customer behaviour. Obtaining an in-depth view of the characteristics of current and future members allows organisations to inform the strategy development process in order to stay relevant and operate a sustainable business model. Digital tools help segment these audiences, adding a vital strategic layer to activity. Another key area on which membership organisations must focus is the changing nature of their audiences. With the advent of the internet, the requirements and expectations of Generation Y are very different to that of the baby boomers, upon which many membership organisations rely heavily at the moment. These baby boomers (born before 1964) are often more aligned with the organisation and feel they benefit not only from its services but from being associated with it. However, those born after 1964 tend to be more demanding of their membership platform, more social media savvy, and expect greater online accessibility and interaction. Therefore, whether it is offering forms of online training, webinars, regular social updates or an easy-to-navigate website, membership organisations need to utilise digital to effectively support their existing systems, processes and communications. Digital transformation is now a necessity. No matter what sector or organisation, modern technology and the ‘Internet of Things’ have turned everything and everyone into transmitters and receivers of information to support well-informed decisions – often in real-time. As such, there is no option but to transform, making it a question of when, not if, for membership organisations. The majority of membership organisations have only accepted that digital should be at the heart of everything they do within the last five to ten years. However, there has been a temptation to err on the side of caution and take an ad-hoc approach to digital, implementing only certain elements for a ‘quick fix’. Often this has resulted in despondency, with activity not having the right impact or achieving key business objectives. Whether driven by lack of budget, resource or understanding, membership organisations which continue to operate in this way risk becoming redundant and irrelevant in the future. As such, these organisations need to start thinking more strategically and take a similar approach to digital. Digital by its very nature is measurable and can be linked to business objectives, allowing membership organisations to track success rates fairly easily. Agile delivery for digital strategies means a flexible framework can be implemented to help streamline processes, improve communication, keep costs down and reduce the risk associated with implementing new systems. In the last few years there has been a growing shift towards agile development and project management in both the private and public sectors. For example, the Government Digital Service (GDS) has taken huge steps in leading the digital transformation of government. As with public sector systems, the digital systems of many member organisations were put in place decades ago. Legacy systems bring with them a specific set of challenges. These include large pockets of content by many different authors; challenges often compounded by a lack of knowledge and understanding as to the amount of time required to change the current system. Taking an agile approach to delivering digital means systems and processes can be reviewed in smaller chunks, and development controlled and updated on an ongoing basis, to flex with the business and with any digital advancements. By their very nature (whether they are linked with a union or not), membership organisations ensure voices are heard locally, nationally and internationally. Collating and organising vast swathes of data and useful information that could be over a century old is no easy task, but imperative in today’s digital environment. Fortunately, these challenges can be overcome. The expertise, tools and skills are available to help organisations take a strategic approach to digital and transform themselves for the next century and beyond.